Bakka first opened its doors in 1972. The name, Bakka, was taken from Frank Herbert’s Dune, and means ‘the weeper who mourns for all mankind’. In the nearly 40 years since, the store has changed owners, locations, and even its name (slightly). But what hasn’t changed is our knowlege of, committment to, and sheer darned enjoyment of science fiction and fantasy.We host tons of author appearences, readings, panels, and offsite events of all kinds. 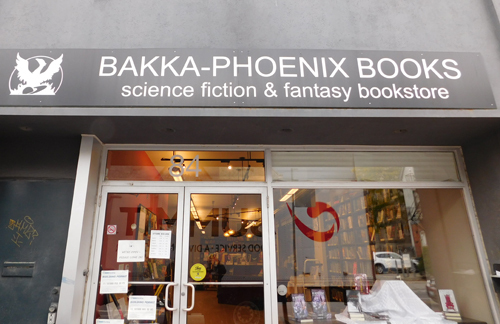 We’re Canada’s oldest SF& F bookstore, and we’re proud to be part of the greater community.